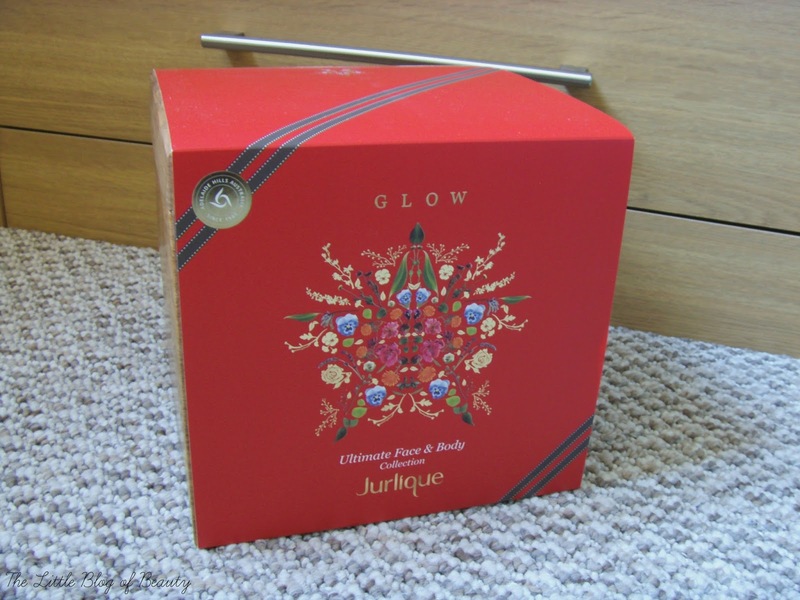 If you follow the brand Jurlique on Twitter you may have spotted that before Christmas they were running a competition to win a Glow Ultimate face & body collection worth an amazing £371. 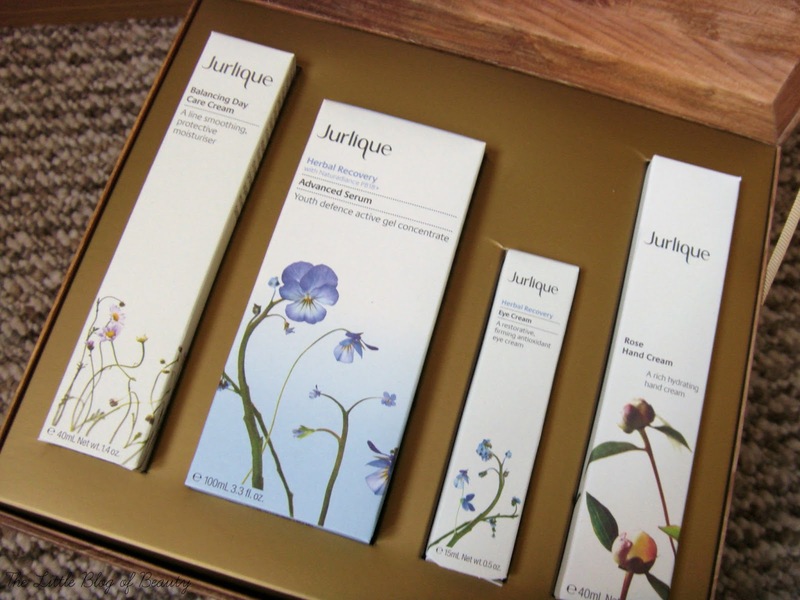 Jurlique are an Australian brand and this collection isn't actually available in the UK, so Sarah from Temporary Secretary (who was sent the set to promote the competition) and the winner would be the only people in the UK to get their hands on this. All you had to do to enter was pop your email address into their competition tweet on Twitter. So guess who was the lucky winner of this amazing prize? That would be meeee! I was having a pretty bad day when I discovered that I'd won this. I'd just heard that I hadn't been selected for a role that I really wanted (as in tears when I discovered I hadn't got it) and just a couple of minutes later I received a notification on Twitter that I had a tweet from Jurlique which was them saying 'Guess who's just won our competition! ', so it really did cheer me up. This obviously isn't a review post as I haven't had this long (although they did get it to me before Christmas, within a couple of days) but I wanted to show you what's in the set and reviews will obviously follow as and when I use the products. 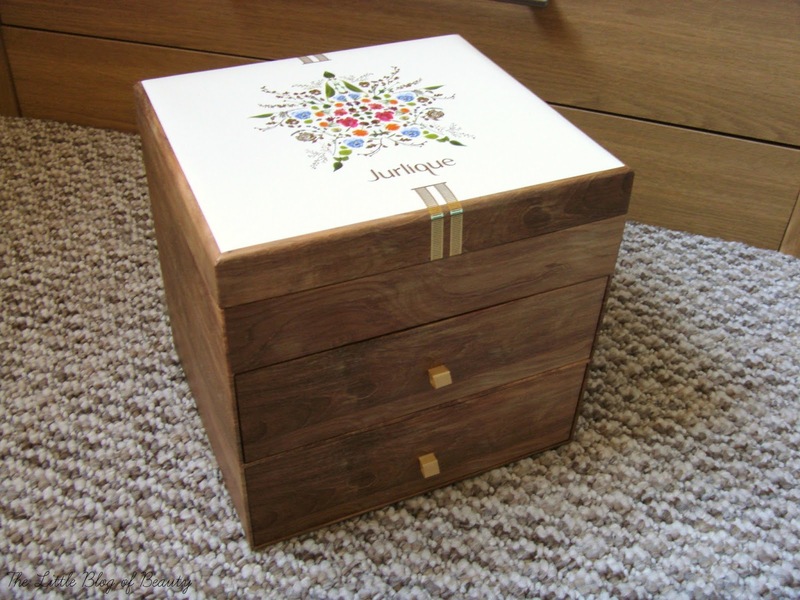 Although the box looks like it may be made of wood it's actually paper covered cardboard. 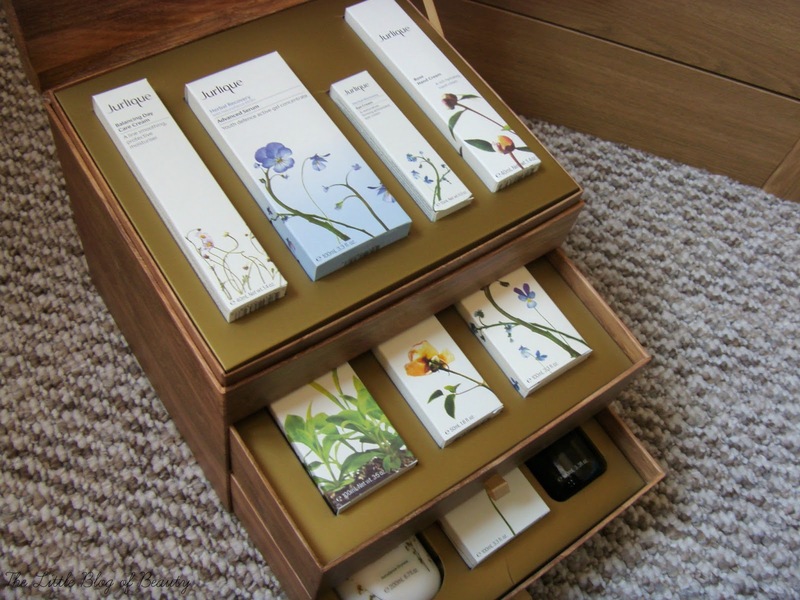 It feels very sturdy though and when I've taken the products out I will be removing the cardboard inserts and using it for storage. I was slightly concerned that the courier might throw it over our garden fence if they tried to deliver it when nobody was home, as we've found parcels half way down our garden before, but it's actually really quite heavy so I don't think there was any chance of that. Some of these products do contain lavender oil and as you may be aware I'm actually allergic to lavender, however I think I might give them a try. So far I've only found that I have a reaction if I actually touch lavender (it makes me itch) but I haven't actually reacted to a product that contains lavender yet. So I may cautiously give those products a try or I'll pass them on to somebody else. 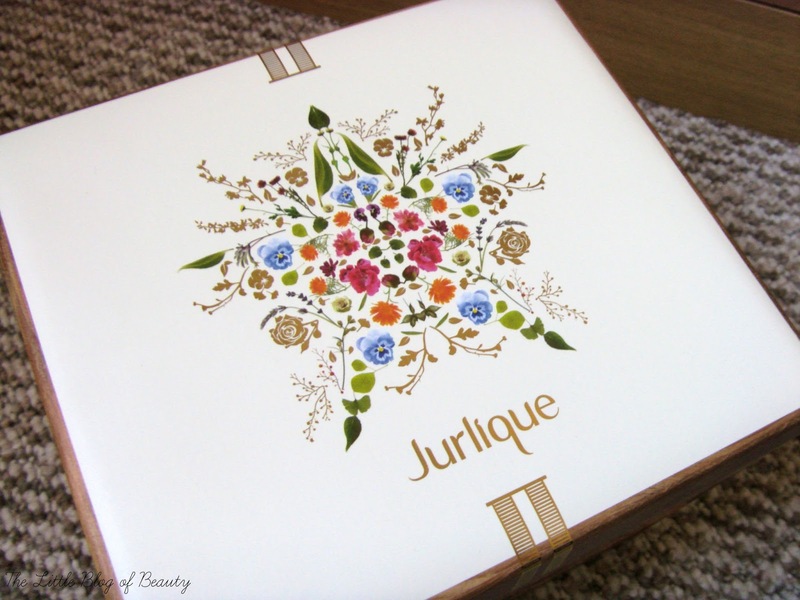 I've mentioned before that one of the things I love about Jurlique is that their products have expiry dates printed on both the outer box and the actual packaging. 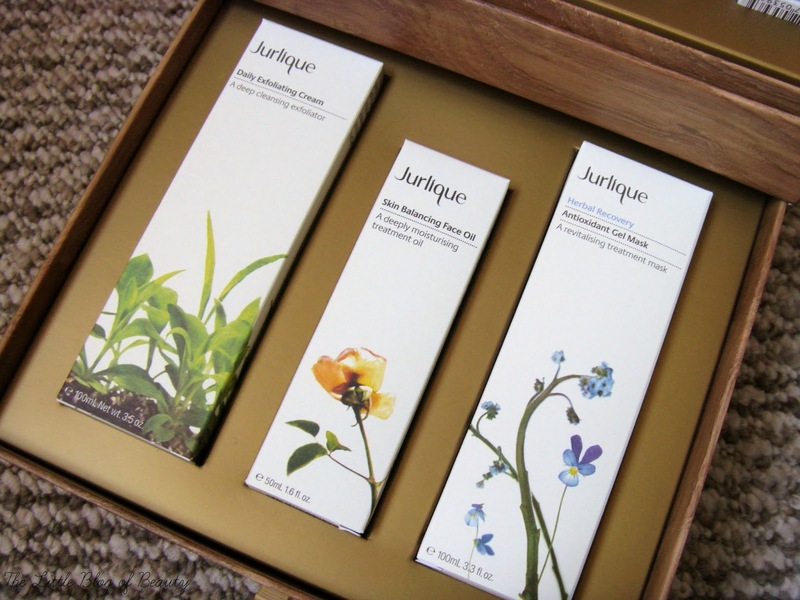 This is so useful with a collection like this as it's likely that I won't be trying out some of the products for several months while I use up others, but I can see exactly how long I have left to use each of these products. Although I haven't double checked each individual product yet the set has an expiry date of May 2016, so I have a full year and a half to use them. I am so grateful that I was lucky enough to win this set and I'm looking forward to giving everything a try. Which item would you most like to try from the Glow Ultimate face & body collection?